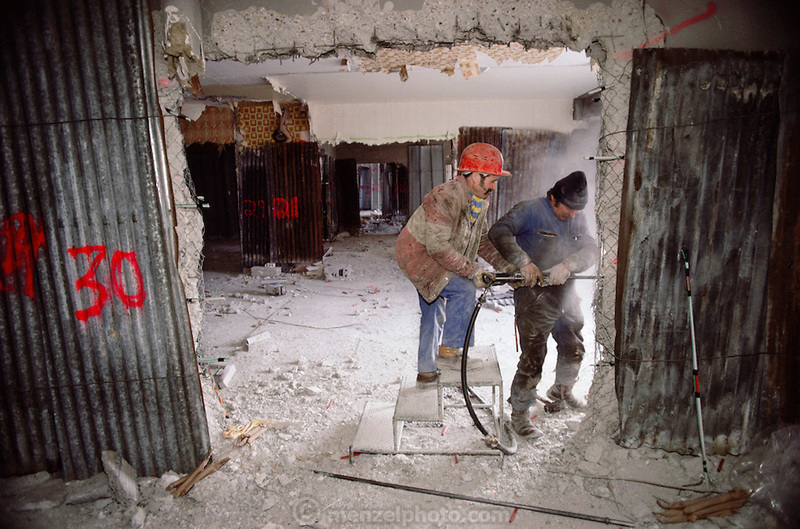 Drilling holes for explosives in a building to be demolished. Controlled Demolition, Inc, used explosives to demolish an aging housing project near Paris. The Loizeaux brothers run the world's most famous demolition company founded by their father. Mark Loizeaux films and watches the demolition as his brother Doug pushes the detonation controller. La Courneuve, France.